Okay, maybe most of the swag comes from me and only a little from RT! Honestly, in previous years I’ve gotten so much more, but that was before I went to the Romantic Times Convention as an author and actually had to work! Still, I hope this is nifty enough it will give someone a thrill. From me, we have a gargoyle tote bag, notebooks with the various book covers (both currently out and future books) a mousepad, and a Fallon(!) coffee mug, and I will be including the audio version of Stone Guardian to celebrate Audiobook month! From RT, I have the RT Convention bag, some pens, a couple glasses, some paper promo, and a few other things I’m forgetting. To enter, you’ll have to either like me on my facebook author page or follow me on twitter, or both – that’s it, no other craziness required. Sorry guys, but USA only. Shipping would make me cry otherwise. iPad MINI GIVEAWAY WINNER ANNOUNCED!!!!! It’s been an amazing celebration. One last time, I want to thank everyone for hanging with me and helping me spread the word about Toys for Tots. I had a lot of fun. Before I announce the winner 🙂 ultimately this giveaway was about raising some money for charity. After the sales have been tallied, I am thrilled to report that $750 is going to Toys for Tots – and of course, that is not counting the money that some have chosen to donate on their own! Thank you, bless you all. Okay, enough of the mushy stuff! We have a Grand Prize Winner to announce! And that winner is…..
Congratulations Angel, I hope you enjoy your prize. From about mid-October until Christmas was always a magical and much anticipated time when I was young. Probably not an uncommon statement from a kid. My mom should have been a party planner, because our house was always decked out for the season. We were the house that people do that double-take with, because looking only once wasn’t enough to take it all in. Mom’s favorite holiday was Halloween. Since I’m a fantasy/paranormal writer, it’s safe to say that rubbed off on me, and with kids of my own, I enjoy Halloween in a completely new way, with my kids excitement about dressing up and their enjoyment in the *fun* scares. While her favorite might have been Halloween, Mom excelled in overall holiday planning. My mom was a generous lady. She never liked cooking, but she loved to bake the holiday pies and cookies and other goodies that come with the season, and everyone who knew us came away during the holiday season with loads of culinary delights. If you ask me to name my favorite food ever, it would have to be Mom’s pumpkin pie. It’s probably because this time was usually so joyous that one memory sits there, lumpy and misshapen and not a fit with the rest. Don’t ask me how old I was, but I came down the stairs one night – going to get some water I think – and Mom was on the couch, staring at the Christmas tree. The packages weren’t under the tree yet, which was odd since Mom tended to put them under as soon as the tree went up (Mom is not a last minute shopper – in fact, I’m pretty sure her shopping is done in July.) Now I haven’t believed in Santa ever, so it was no question in my mind about who presents come from. What set this memory in my mind so sharply was my mother’s face the few moments before she realized I was in the room. At the time I didn’t have the words or the emotional knowledge to name what emotions were in play. All I knew was it wasn’t good. Several years later we were talking, and in the way of conversations everywhere, somehow that night came up, and I asked Mom what was going on. She confided that when I saw her, the reality of our situation was none of us kids were going to get Christmas presents. It had been a bad year with lots of doctor bills and not as much work as they hoped to get. Maybe they would be able to get a practical clothing item, but certainly nothing beyond that. Then she told me that a couple days after I saw her that night, her uncle heard about our situation. Without her or my dad asking, he went out and got presents for us kids and told her that it was his early Christmas gift to her and he would not accept any money or repayment. Mom told me she cried while she wrapped them. She told me it was the best gift she’d ever gotten. While my childhood would never fit in a Dickinson narrative, there were a few years there where we did with minimal, so hearing after-the-fact that no presents was a possibility didn’t surprise me. What did surprise me was the lurch in my chest at the thought of it as a near reality. That didn’t make sense – after all, we were several years past by then, and I was a grown person who understood economic realities. That lurch, though, was real. And as time has marched on, I think I understand the reason for it, just like now that I’m a mother I understand the look on my mother’s face that night. The holidays were a safe and sacred time. The rest of the year – okay, it’s life, and life happened. But in my memory, the holidays were apart from that, not touched with the ickiness that could happen at other times. If I didn’t get presents that year, I think that safety and warmth that the holidays (or the thought of) always caused would have disappeared. I wouldn’t have had that protective bubble anymore that helped get me through bad times, and the loss of that would have been a greater tragedy than not getting a doll under the tree. So while Toys for Tots was not responsible for me getting presents that year, I recognize in a deep and personal way the very good work they are doing. Toys for Tots is my favorite holiday charity. There are many excellent charities I celebrate and give to, but this time of year my thoughts and my wishes are for the kids who are not in the best circumstances and are in danger of not having a gift under their own tree. It’s not the material item that matters (though it’s always nice to get a great gift, right?) What I never want them to lose is that safe warmth that should categorize the holidays, a warmth that sometimes might be the only thing that gets them through the rest of the year. Which leads me to the 12 Days of Halloween! 12 Days of Halloween is my (and many other excellent authors) way of having a great time and celebrating the beginning of this wondrous time of year – with giveaways and gifts and raising money for Toys for Tots! First! 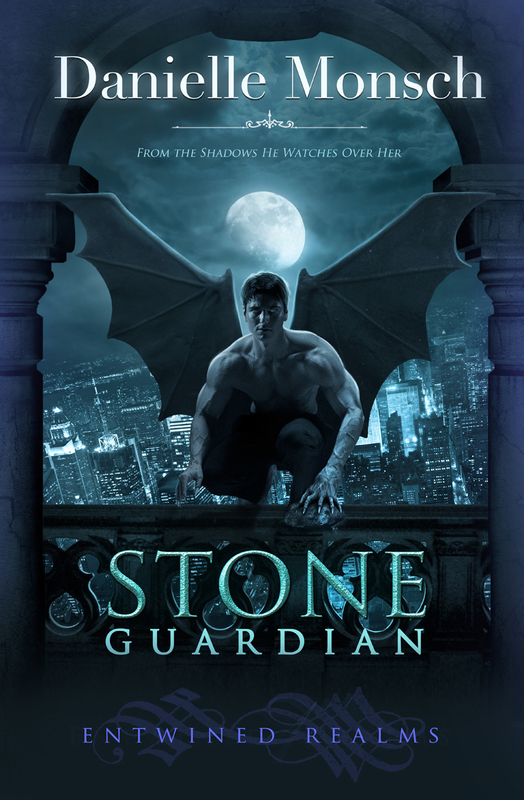 My novel Stone Guardian is on a very special sale. From now until Halloween, it is half-off with part of the proceeds going to Toys for Tots! So you get a book for cheaper than usual, and a chunk of the money will be going to an amazing cause! Huzzah! 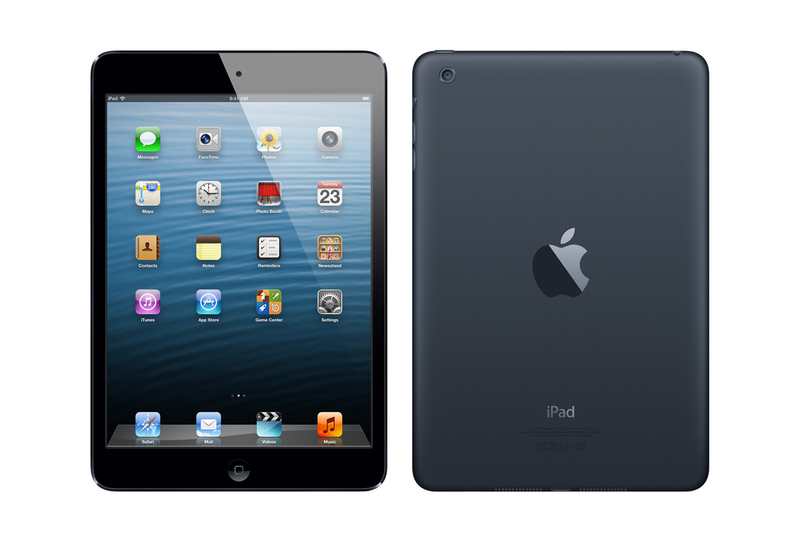 Yes, you read that right – an iPad mini with a special Entwined Realms designed cover set is the grand prize. 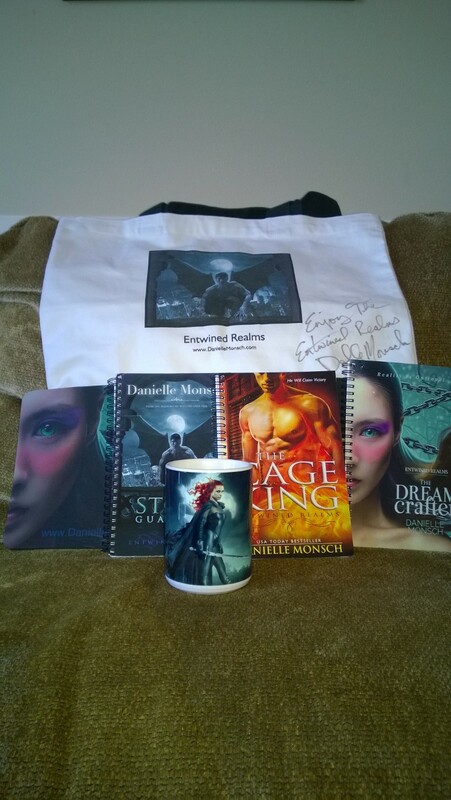 So if you are interested in ALL THE GOODIES (I did mention lots of ebooks and giftcards which will be given away throughout the celebration, right? 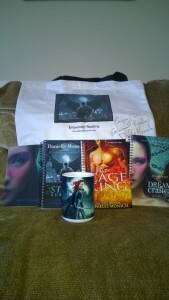 ), please keep up with me at twitter, facebook, or right here on Romantic Geek Girl with all the ways to win. Let’s celebrate the beginning to this great time of year, have a great party, maybe win some stuff, and most important of all – support Toys for Tots and make sure they can help a lot of kids this year! Throwing a Goodreads Giveaway for my first book! Giveaway ends May 31, 2013. A Day Late & A Dollar Short but… WINNER ANNOUNCED! Forgive the lateness! It’s been Sickie-Central here at the House of Munch, so I’m dreadfully behind in all computer-related happenings! Forgive me! 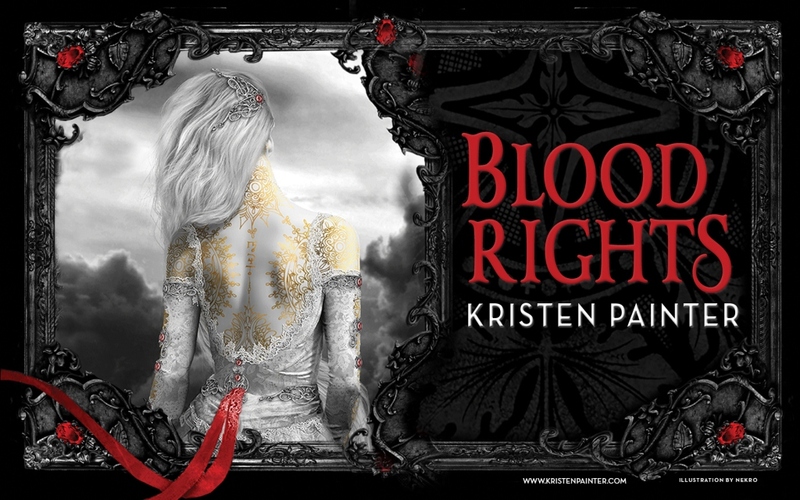 If you need an introduction to Karina – or to Steampunk in general – Tarnished is a wonderful way to start. 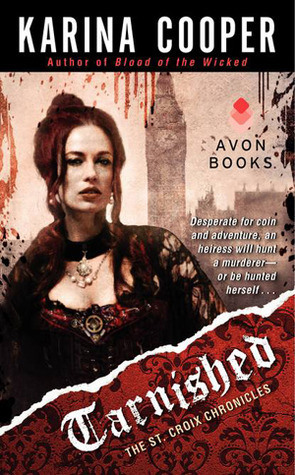 And as it happens, I have a SIGNED copy of Tarnished available for giveaway. Yes, you heard me right, signed! To enter, all you have to do is leave a comment about what you like best about Steampunk (or, if you’ve never read a Steampunk before, what you’ve heard that makes it interesting to you). Winner will be picked on Monday, April 8 @ 5pm (pacific time). Small print – No purchase necessary, proclaiming your undying love for me won’t up your chances, you must live in the USA (no international or military addresses) and be at least 18 years of age. If you are picked as the winner you will need to give me your snail mail addy for me to send you the book, and I’m not responsible for books lost or mangled by the Post Office. You Want to Know Who Won, Right? That lady on the left is Author Crista McHugh, she of the very generous nature who is giving away a signed copy of her book Tangled Web! If you weren’t the lucky winner today (sorry 🙁 about that) I highly recommend you check out her other stuff. The lady has released a dozen books or so, lots of excellent stories for everyone! Happiness and Salutations all around! Speaking of lucky winner, our lucky one today is… AMBER! Congrats and confetti to you! 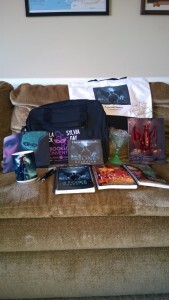 And because I’m cool like that, it’s time for another giveaway! 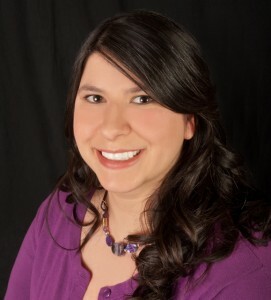 Crista McHugh is a friend, a talented award-winning writer, and the best chance I have of eventually knowing a NY Times Bestselling author. might be the glimmer of hope the empire needs. Because we’re friends I can force her to sign books at any time, and I have recently done so. This means I have one book to give away to a lucky person. If you are interested, leave a comment telling me Happy New Year, Happy Birthday you old lady, why you think this book will rock, or any other thoughts you have. One person shall be picked at random to receive the book. Winner will be picked at 5pm (pacific time) on Tuesday, January 15. Good Luck! Thanks to everyone else who entered and keep checking back! 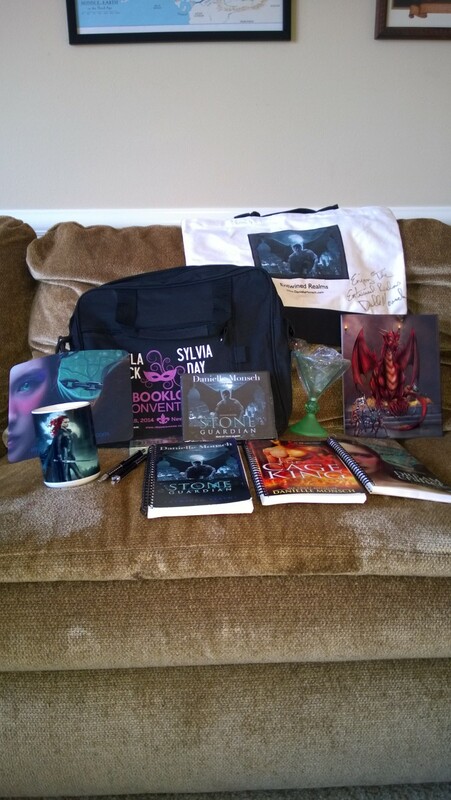 I have lots of giveaways planned – cause I’m cool like that and all. 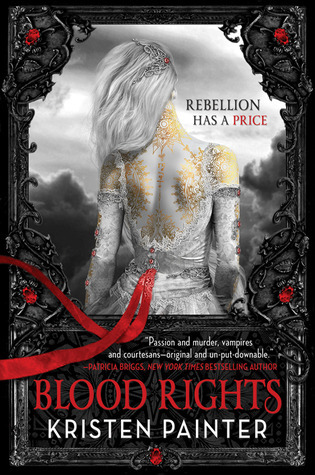 Now, is this not one of the most gorgeous book covers you’ve ever seen? Sounds nifty, right? Right?! Right. To celebrate me getting back into blogging, this shall be the easiest giveaway ever. Simply leave a comment that says, “Hi Dani! I want this book!” or something to that effect. One winner shall be randomly picked from amongst all the hello’s! Winner will be picked at 5pm (pacific time) on Friday, June 8. Good Luck!